Get your Christmas Spirit on! My life can’t get any busier at the moment. It’s just not possible. It’s the last week of school and I am so incredibly excited that the holidays are almost upon us. I can smell the holidays and I am very excited! Three O’Clock Thursday afternoon can not come fast enough. Bring on the school holidays is all I can say! Have I mentioned that I love school holidays!? As the school year comes to a close the Christmas season starts. Not sure why I feel the two are different, but for me the Christmas season can only start when school is finishing. Maybe its just that Christmas doesn’t feel real until school is out, or maybe it will start to feel more real after the Primary school Presentation night this week. What are some of the Christmas family traditions in your household? How do you get that Christmas excitement happening in your home? Is it when the tree goes up? My little confession is that its a combination of things for me, its the putting up of the tree, the carols, going to some community Christmas events, making rum balls, wrapping presents on Christmas Eve watching whatever Carols in the park, but the biggest thing that brings the Christmas Spirit in terms of our household is taking the kids down to the Myer Centre and visiting Santa in Brisbane. 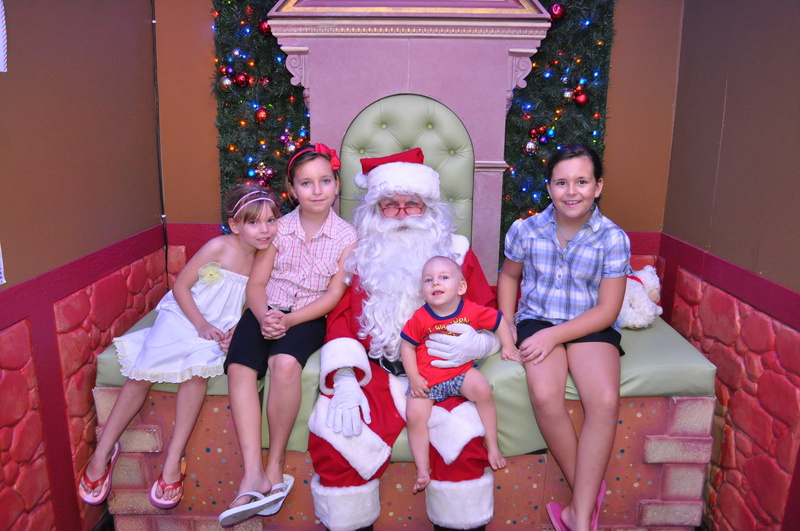 Ever since Amy was very little we have taken the kids down to the Myer Centre and let them ride on the little Santa Train, and then we visit Santa – get a photo and head outside to the mall to look at the Christmas Window displays. The Queen Street Mall is lit up with Christmas lights and the huge Christmas baubles and tinsel bring much excitement to the kids. There is nothing like shopping in the city of lights in the heart of Brisbane. I love it. I don’t think Suburban shopping centres do Christmas as well as the city. We always end the night at the King George Square Christmas Tree. Its just magnificent. 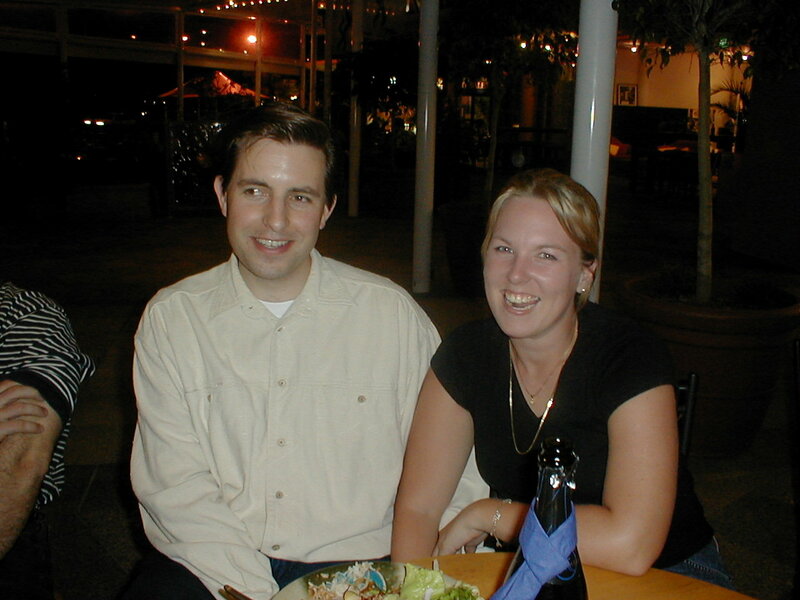 Last year we surprised the kids and booked an overnight in Brisbane, and we used this as a base so that we could really enjoy the Brisbane City. It was just one night, but we got a place close to the river – under the story bridge to be exact, and close to a City Cat dock. Even though we were staying close to the dock, we felt that it was too far for the kids to walk at the end of the night to get back to our unit, so we parked and rode the City Cat into the City. This meant that we could push the kids to stay out as long as we could, catch the cat back and get the kids to the car and up to our unit – we could stay out as late as it was physically possible. 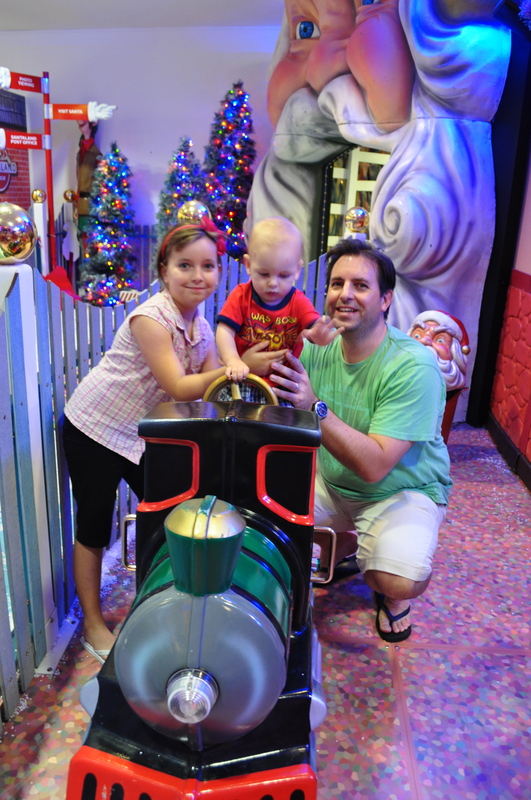 Usually we drive down to Brisbane from the Coast, visit Santa and take some photos of the kids on the Santa Train, look at the windows at Myer and then plan to leave Brisbane within a few hours because parking down in Brisvegas costs an arm and a leg these days. Its not as relaxed as it is when you stay over somewhere close by. 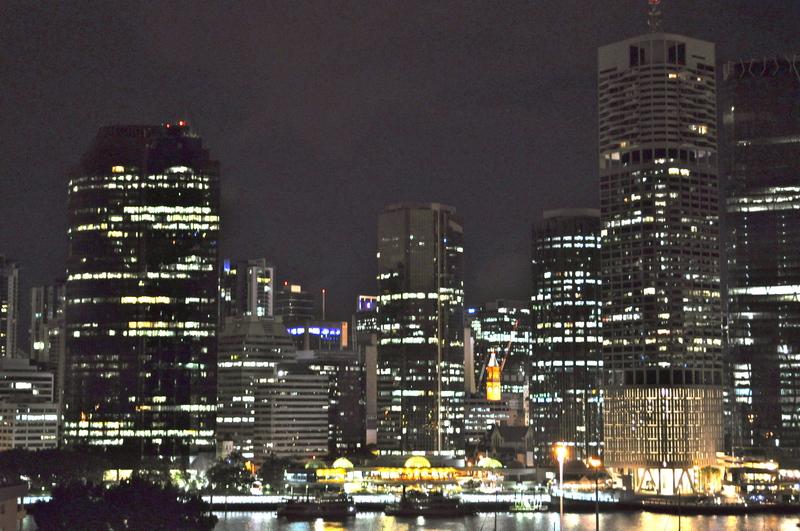 Not sure if we will stay in Brisbane this year – but lets just say that if we are able too – its worth it. The City Cat is fantastic, and so worth travelling through Brisbane by. The lights of the city are magnificent from the river. The City Cat makes the night complete. We arrived in the city at dusk, so the lights were starting to come on, but we left the city when the lights were at their best and lets just say as you look back on the city and see the lights – its just simply magnificent! Seeing the Santa Train each year has been a wonderful experience for our little family and in the new year I would like to share the sequence of photos from the first year we took Amy to the current year with all four kids. Now that we are done having babies, and our eldest is 10, it will be interesting to see how many more years we can get Amy to sit with Santa for a photo. I don’t know how long Jaden will believe in Santa, but its the Spirit of Christmas that I want the kids to always have and even if they don’t feel it – they can fake it till they make it for their younger siblings! I have to run to get the kids from school, so I need to go, but let me know what Christmas family traditions you have created for your family? I would love to hear what other families do to create the Christmas spirit in your lives? ← Thyroids – who needs them! ?